ICYMI, our first kiss scene happened today on MBC's 'Great Temptation'. Some viewers may side with "It's too early!" and some might like the quicker pace. 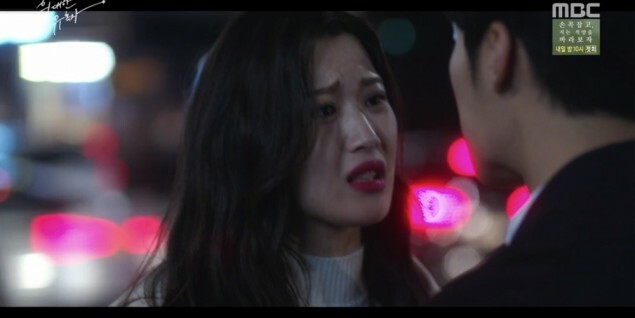 Originally, I was also under the impression that our main female character Eun Tae Hee, played by Red Velvet's Joy, was a very cutting edge, "iron wall" girl, and wouldn't be so easily won over by the great seducer Kwon Si Hyun, played by Woo Do Hwan. However, as I also mentioned slightly at the end of episodes 5 & 6, I feel that when a drama gives us A LOT from the get-go as this one, it all amounts to greater, more complex plot later on. The quicker line of storytelling thus far warns us, in a way, of a lot more drama to expect in further episodes. Now that we've had our first kiss scene cleared out of the way, I can assure you one thing: at least we won't have to deal with a drama that's 16-20 episodes of two clueless people trying to figure out they like each other, right? But you know, this level of PDA in a convenience store might get you two kicked out and blacklisted. Moving on from our first kiss scene, let's talk a bit about the adult drama because OH GAWD THERE'S EVEN MOREEEEEE. So now we learn, that even the freaking secretary is in on this risqu� adult love-pentagon(?)! Whose secretary? Kwon Suk Woo's secretary! A bit of character arranging is in order here. So first, we have Kwon Suk Woo (played by Shin Sung Woo), who is Kwon Si Hyun's dad. He plans to marry Myung Mi Ri, the mother of one of Si Hyun's best friends Choi Soo Ji (played by Moon Ga Young). However, Kwon Suk Woo's true heart lies with Seo Young Won, who is Eun Tae Hee's mother. Myung Mi Ri, whose ex-husband is in prison, craves love from Suk Woo and seeks his heart, not just his business partnership. And now here comes Suk Woo's secretary, who conveniently also happens to be Myung Mi Ri's college sunbae. The secretary pities Mi Ri, and may have always had an unrequited love for her... yikes. Sorry guys, I can't recall what this secretary's name is and I can't find the info on Naver either. Yeah I'm telling you guys, this drama is in for some seriously twisted and tangled relationships. Every episode, it just gets deeper and deeper and uglier. So what does Soo Ji's plan for Si Hyun to seduce Tae Hee have anything to do with all this mess, anyway? I think I'm finally able to organize it into an easier explanation, now that the drama has wrapped up it's initial, introductory phase. When will rich people learn to read street traffic signals?! 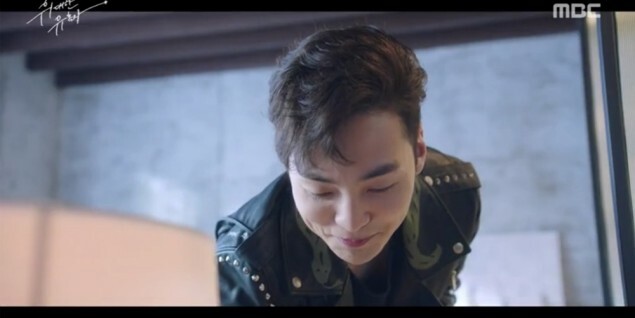 Here's the rundown: the primary goal and motive of the rich friends trio - Kwon Si Hyun, Choi Soo Ji, and Lee Se Joo (played by Kim Min Jae) - is to not lose the friendship they have. They do not trust their family, they do not trust the world, they only trust one another, and so they want to protect the trio as hard as they can. But sadly, the trio's friendship is very fragile, and the stone that threatens to break the trio apart is the impending marriage of Si Hyun's dad with Soo Ji's mom. 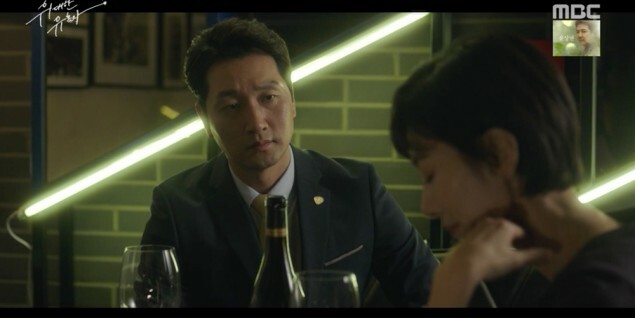 The plan to seduce Tae Hee and break her heart ultimately stems from Soo Ji's desperation - she feels like she's the only one angry and hurting, and she wants to hurt and manipulate the people around her who've hurt her, mistakenly thinking that it will relieve her own hardships. Among the younger characters, Soo Ji is primarily the tragic maiden who sets the plot in motion. Her personal misery sets off a series of manipulated events which will eventually be the cause of many other tragedies to come. It took us a total of 8 episodes to arrive at this juncture, but I think it would be a mistake to simply call this "too slow" of a pace. The drama had a lot to lay out, and it did what it had to do with the new system of two, 30-minute episodes per day. In summary, I am so far satisfied with what 'Great Temptation' has offered us in terms of characters, relationships, pace, and plot. Everything has been laid out so that we as viewers now understand who wants what and why these events are happening. From here on, it becomes a lot easier to choose the characters we like and the ones we don't like, and to root for our favorites while boo-ing the "bad guys". Just fill up the drawer with condoms and we're ready for next week!